Born and raised in Peterborough Ontario, Kate starred in many local productions before moving on to study music and theatre on a larger scale. She trained in opera at Western University and graduated from Humber College School of Creative & Performing Arts with a Bachelor of Contemporary Music. She has studied under the tutelage of Micah Barnes, Father Paul Massel, Marie Baron, Elaine Overholt and Susan Eichorn. Kate is also a Vocal Graduate of The Royal Conservatory of Music. 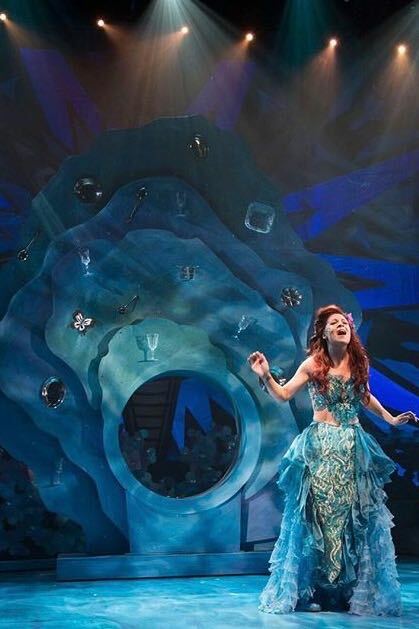 Kate’s angelic and powerful voice has wowed audiences in such coveted roles as Mary Poppins, Ariel in The Little Mermaid, Cosette in Les Miserables, Nancy in Oliver! and the iconic role of Maria in The Sound of Music. The role of Masha in Chekhov’s The Three Sisters marked her classical drama debut. Her first album, “Something More”, dropped to much acclaim. She is soulful, yet angelic; vulnerable, yet powerful. Kate has graced the stage at Boots & Hearts, has written and performed vocals for national commercials and her YouTube performance videos have garnered more than 50,000 views. Her original song “Pilot Light” is featured in an award winning documentary, Murphy’s Law. As an actress she is versatile and vulnerable. She has studied under such Canadian greats as Linda Kash and has shared the stage with veterans of the Stratford and Shaw festivals. Whether singing or acting, Kate’s performances resonate with audiences and are unforgettable.